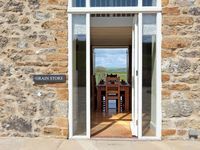 Property 14: Beautiful newly converted Barn nestled in the Dorset countryside . Property 29: STYLISH Barn Conversion with Indoor Pool, Dorset. Sleeps 10 - 14. Property 32: IMPRESSIVE Barn Conversion in Rural Dorset, Hot Tub & Pool. Sleeps 10. 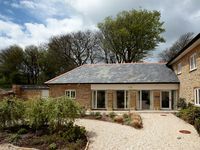 Property 33: Luxury 5* Gold Award 4 Bed/Bath ensuite self catering accommodation in Dorset. An exceptional setting in a beautiful part of UK. Property is probably not &lsquo;luxury&rsquo;, but clean, spacious and comfortable. Only problem was dishwasher didn&rsquo;t always respond to programme and family shower on first floor needs a new shower head.